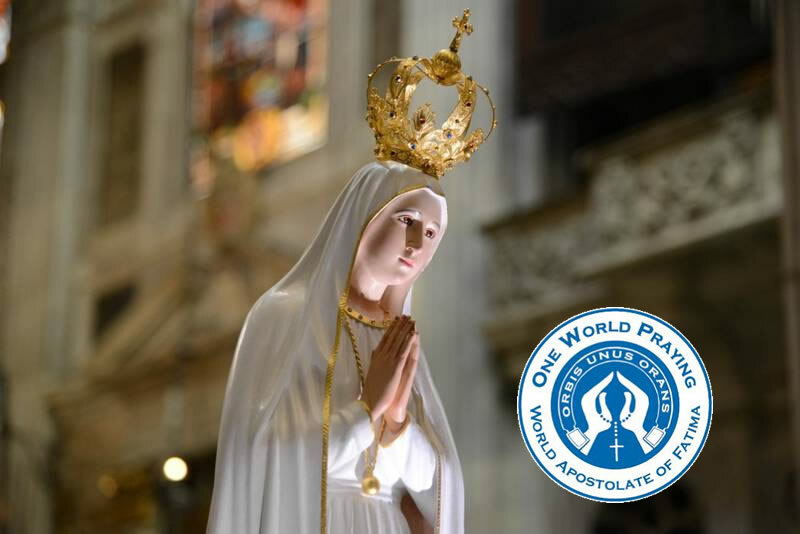 Have you heard about the extraordinary happenings at Fatima in Portugal? According to the newspaper Seculo, “the sun trembled, made sudden incredible movements outside all cosmic law – the sun danced.” Dr. Almeida Garrett of Coimbra stated: “The sun, whirling wildly seemed to loosen itself from the firmament and advance threateningly upon the earth as if to crush us with its huge and fiery weight. The sensation was terrible.” The incident was repeated three times lasted eight to ten minutes. It has since come to be known as the Miracle of the Sun. There can be no doubt that this actually happened as it was well documented by reliable sources. It was not of natural origin as it was not recorded by any astronomical observatory. Neither was it a case of collective hallucionation as it was seen up to 30 kilometres away by people going about their normal duties unconcious of what was happening at Fatima. How and why did this phenonomen occur ? Well, the day and the hour had been foretold three months earlier by three little shepherds, who claimed that a Lady from heaven was appearing to them. They had got a lot of hassle from friends and neighbours and had asked the Lady to give a sign so that everyone would believe. She promised to give a sign at noon on October 13th, 1917.This was why over 70,000 people, including newspaper reporters, had gathered there on the eventful day. It is now clear that Our Lady’s intervention was very timely because the 20th century turned out to be an age of disbelief. 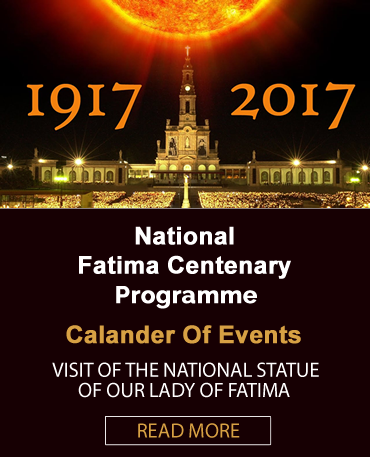 There was nothing new in what Our Lady had to say in Fatima but the Miracle of the Sun was used to draw attention once again to the truths of the Christian religion – our faith in the blessed Trinity–the God who rewards and punishes, while His mercy is infinite – the reality of Heaven, Hell and Purgatory and the Real Presence of Jesus in the Blessed Sacrament. She allowed the children, Jacinta, Francisco and Lucia, even though they were only aged seven to ten years old to see a horrifying vision of Hell. Our Lady foretold the end of World War One but warned that if people did not repent, a worse war would break out and Russia would spread her errors throughout the world causing wars and persecutions. (This warning was given before the Bolshevic Revolution took place.) She appealed for prayer and sacrifice for the conversion of sinners and said that in the end her Immaculate Heart would triumph. It would be easy to discount all of this except for the extraordinary Miracle of the Sun which gave the proof not only of Our Lady’s appearances but more importantly for the the messages she gave. The validity of the appritions has been approved by the Church and Jacinta and Francisco were beatified in May, 2000. Lucia was born in 1907 and died in 2005. On February 13, 2008, the third anniversary of her death, Pope Benedict XVI announced that in the case of Sr. Lúcia he would waive the five year waiting period established ecclesiastical law before opening a cause for beatification; this rule was also dispensed in the causes for Mother Teresa and Pope John Paul II. The Vatican webpage of the Pontifical Council for the Laity (PCL) has recently updated the Associations and Movements section of their official website. 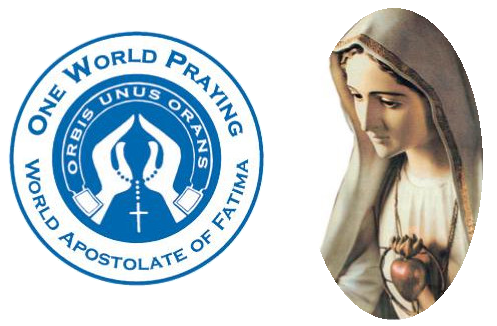 Four new organizations were added, initially in their language of origin, to their Directory of International Associations of the Faithful. 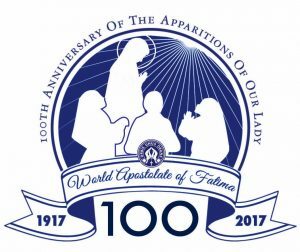 One of these is the World Apostolate of Fatima by presenting its new foundation and defining its new ecclesial role, mission and charisma. According to the Pontifical Council for the Laity, “these updates to the PCL directory help to make the international associations of the faithful better known to the wider world. It is also an instrument for these organizations to learn about each other. The fact that they are all presented in one directory can also be seen as a demonstration of their ecclesial communion, with all the diversity and complementarity of the charisms they have received from the Holy Spirit”.